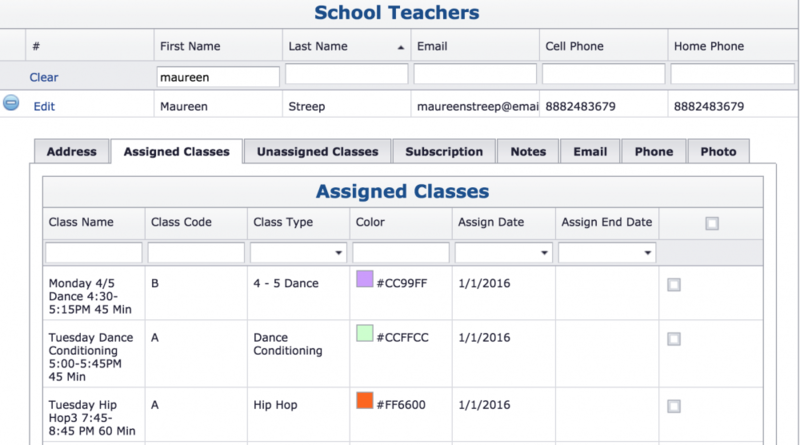 Hit the plus sing on the teacher and select the ASSIGNED CLASS TAB. A list of the teacher’s classes will appear. 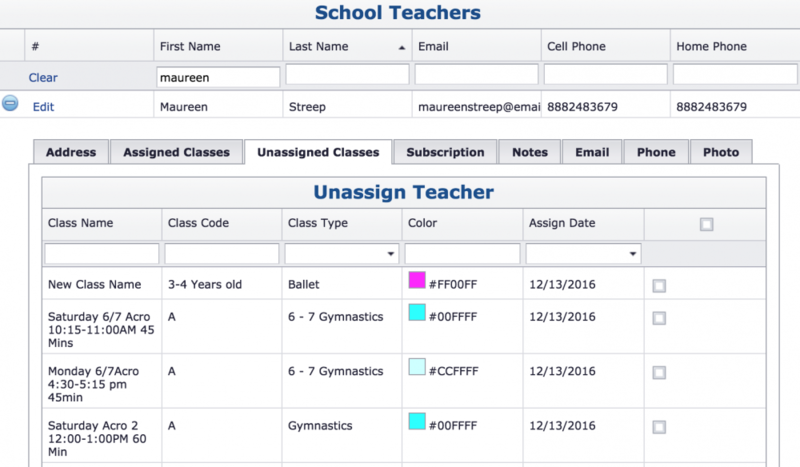 Click the corresponding check box and enter an UNASSIGNED Date and click the Unassign button. This will remove the teacher from that class.